I totally agree on the Girl Scout cookie thing. This time of year, we're bombarded with little girls peddling cookies laden with dairy and other nasties. But I hate telling them no. I would buy every flavor if they were vegan! 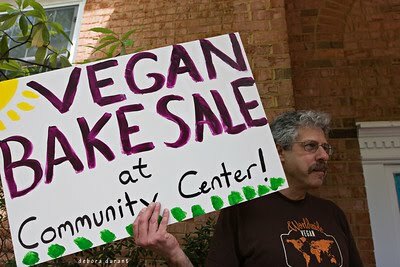 It says these cookies are vegan in 2011: Thanks-A-Lot, Shout Outs!, Lemonades, Daisy Go Rounds, and Peanut Butter Patties.